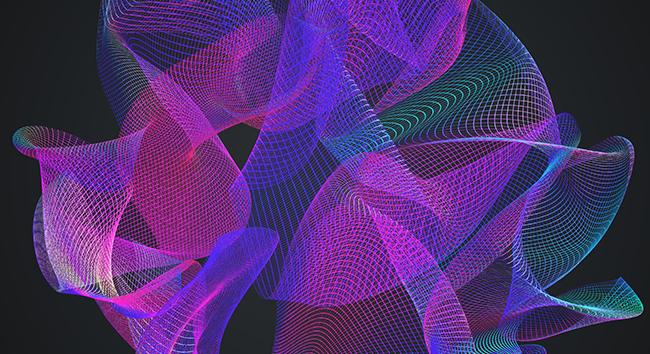 What is String Theory and is it still viable? Dr. Craig discusses how it relates to the Fine Tuning of the universe. KEVIN HARRIS: Dr. Craig, you need to walk us through some science here if you would. “String Theory May Create Far Fewer Universes Than Thought” – this is an article from Scientific American. It has been a while since I have heard about string theory. For a while, that’s all I heard about, but not so much anymore. DR. CRAIG: It's rather out of fashion, frankly, though this article wouldn't give you a clue to that. The theory faces so many obstacles and has no evidence in its favor that I think most scientists are probably pretty skeptical about its promise, though in this article they do quote a number of string theorists who are working in this area that are optimistic that something will come of it. KEVIN HARRIS: I'm sure there's some people who don't know what string theory is. Using their own definition, perhaps you can give us a definition or an overview. DR. CRAIG: She gives a nice definition in the blog here. “String theory is an attempt to describe the whole universe under a single ‘theory of everything.’” This would unify gravitation with the other fundamental forces of nature by adding extra dimensions of spacetime and thinking of particles as minuscule vibrating loops. DR. CRAIG: Yes. It's an alternative to the standard model of particle physics which thinks of the universe as made up of little fundamental particles. Here you have little loops of vibrating energy that are the fundamental building blocks of the universe. The problem with string theory, according to some physicists, is that it makes too many universes. DR. CRAIG: Yes, this is the so-called cosmic landscape which would be the number of possible universes predicted or allowed by string theory. In other words, the theory doesn't predict a universe that has specific values for its fundamental constants. Rather, it allows this vast range of values to exist. In fact, around, as it says, 10500 different universes that would be consistent with string theory. Why is this even relevant to the concerns of Reasonable Faith? Why are we even talking about this? Well, this is important with respect to the argument for the existence of a cosmic designer from the fine-tuning of the fundamental constants and quantities of the universe. What we discover is that the fundamental constants of nature (like the proton-neutron mass ratio, or gravitational force, or the atomic weak force) are finely tuned to specific values such that if you were to alter these values by a hair's breadth the life-permitting balance would be destroyed and the universe would be life-prohibiting. The question is: how do you best explain this incredible (incomprehensible, really) fine-tuning of the universe for embodied conscious life? One of the explanations would be the values of these constants and quantities are physically necessary. Given the laws of nature, they had to have the values they do, and therefore the fine-tuning is not an occasion for surprise. The universe had to be that way, and it couldn't have been different. That explanation of the fine-tuning is subverted by string theory. If string theory is correct, it is not true that the values of the fundamental constants are physically necessary. Rather, string theory could be true, and there is this incomprehensible range of universes (10500) all consistent with the laws of nature that would be predicted by string theory. It really would compromise fatally the explanation of physical necessity for the fine-tuning of the universe. What's important to understand is that this so-called cosmic landscape doesn't really exist. This is not a multiverse of universes. This is just a range of possibilities. It's a list, as it were, of all of the different constants that would be consistent with the laws of nature. Clara Moskowitz says at one point in her article, “so-called ‘landscape’ of string theory [is] the incomprehensible number of potential universes that result from the many different solutions to string theory’s equations.” The word we want to highlight there is “potential.” This is a list of the potential universes that could exist consistent with the laws of nature laid down by string theory. This is important because there's some confusion later in the article where it suggests that string theory posits some sort of a multiverse of actually existing universes where, in fact, these are just potential solutions to string theory. DR. CRAIG: It is like possible worlds, frankly, that philosophers talk about, except that “possible worlds” in philosophy-speak are maximal states of reality. Everything is comprised in a possible world. Here we're just talking about what would be the worlds that would be consistent with these string theoretical solutions. KEVIN HARRIS: When it says string theory is an attempt to describe the whole universe under a single theory of everything by adding extra dimensions of spacetime in thinking of particles as minuscule vibrating loops, we really are talking minuscule, aren't we? DR. CRAIG: Yes, this is subatomic. You are right down on the subatomic level here. So it's theoretical. This is theoretical physics, not observational physics. KEVIN HARRIS: 10500 versions of spacetime is what string theory predicts. “But with so many universes on the table, how can the theory explain why ours has the features it does?” This is what you were talking about – the design? DR. CRAIG: Right, it doesn’t explain why our universe has these fundamental features that it does, and therefore physical necessity would not be a good explanation if string theory is the correct fundamental theory of physics. So that would rule out one possible explanation for the fine-tuning. Now some theorists suggest most—if not all—of those universes are actually forbidden, at least if we want them to have stable dark energy, the supposed force accelerating the expansion of the cosmos. I guess we better stop and talk about dark energy. DR. CRAIG: What it's talking about is the discovery that there is some sort of anti-gravitational force which makes the expansion of the universe accelerate rather than slow down. The universe is actually speeding up in its expansion because of this so-called dark energy. To some, eliminating so many possible universes is not a drawback but a major step forward for string theory, offering new hope of making testable predictions. But others say the multiverse is here to stay, and the proposed problem with all those universes is not a problem at all. DR. CRAIG: Here we see the first conflation in the article between the cosmic landscape and the multiverse. As I said, this is just a list of potential universes that are consistent with string theory. It is not a multiverse of actually existing universes. So we have here a conflation that will become more serious as the article proceeds. But the claim here of these new theorists is that maybe the cosmic landscape isn't as big as we thought. Maybe it doesn't really have 10500 universes in it. They argue that most of those are really not possible universes. They couldn't really exist. KEVIN HARRIS: Apparently a lot of this came down at a conference in Japan lately – Strings 2018. Some of this research. This article, are we to understand, is a result of this conference of what some string theorists are saying? But the vast majority of the solutions found so far are mathematically inconsistent, the papers contend, putting them not in the landscape but in the so-called “swampland” of universes that cannot actually exist. DR. CRAIG: You've got to love these colorful scientific labels. What these scientists are claiming is that a lot of these universes in the cosmic landscape are mathematically impossible and therefore are relegated to what's now called the swampland – not the landscape; they're in the swampland of universes that cannot exist. This would provide some hope for the string theorist to provide an explanation of the fine-tuning because now maybe the range of universes permitted by string theory aren't quite as great. But it's still a very large number which would still mean that you'd want an explanation for the actual values that we do have. Scientists have known many solutions must fall in this swampland for years, but the idea that most, or maybe all, of the landscape solutions might live there would be a major change. In fact, it may be theoretically impossible to find a valid solution to string theory that includes stable dark energy, says Cumrun Vafa, a Harvard University physicist who led the work on the two papers. DR. CRAIG: All right. So this indicates that string theory is, I think, really in kind of a crisis situation, but it's going to be very interesting to see how this advances. KEVIN HARRIS: Dark energy seems to be messing it up. I mean, what do you do with the dark energy? DR. CRAIG: Now here we see explicitly the connection with the fine-tuning problem. And now the cosmic landscape (or what remains of it) is being interpreted not as a list of potential universes but as an array of actual universes that exist. Here, the attempt to explain fine-tuning is not by physical necessity; rather, this is an attempt to explain fine-tuning on the basis of chance – that it's just by chance that the fundamental constants and quantities have the values they do. Because this is so improbable, in order to make these chances tractable, what theorists do is multiply the number of universes in this sort of world ensemble or array of universes. It's like having multiple roulette wheels running all at once so that when a ball falls into a particular slot on a roulette wheel that's not so improbable given all of the many roulette wheels that were simultaneously turning. One of them would turn up that way by chance. Similarly here, the claim is that if you have an actual array of universes as predicted by this cosmic landscape then the fine-tuning can be explained by chance alone. Of course we observe our universe to be fine-tuned because we couldn't exist if it weren't finely tuned for our existence. So nothing is further to be explained or to be surprised at. Once again, these new discoveries have implications for this because by shrinking the number of universes in the landscape and relegating most of them to the swampland, that means the multiverse is much smaller. There are many fewer roulette wheels simultaneously turning, and therefore that makes the odds of your pick coming up all the more remote. It's kind of “darned if you do, darned if you don't” here. If you say that the constants are to be explained by physical necessity then string theory being revised could help because it would shrink the number of potential universes and get closer to predicting the actual values we have, though it doesn't successfully do that. On the other hand, if you say the fine-tuning of the universe is to be explained by chance, the problem here now is that shrinking the landscape down so as to make it more predictive means that you've got a smaller array of chances to explain the fine-tuning. Either way, this new result will impact the question of what is the best explanation for the fine-tuning. It would help the partisans of physical necessity (but not really enough), but the partisans of chance who are by far more plenteous – it's going to hurt them because it reduces the number of opportunities for the constants and quantities to come up with their values. Is that clear? KEVIN HARRIS: It is. Again, you point out three options: physical necessity, chance, or design. If it is true string theory cannot accommodate stable dark energy, that may be a reason to doubt string theory. But to Vafa it is a reason to doubt dark energy—that is, dark energy in its most popular form, called a cosmological constant. DR. CRAIG: Here it's kind of like a teeter-totter. You can either deny string theory because it's inconsistent with stable dark energy, or you affirm string theory but deny the stable dark energy. You deny that there's a cosmological constant which is by far the majority view within physics today – that there is this cosmological constant that is causing the universe to accelerate as it expands. This is an alternative that would be unattractive to any but the committed partisans of string theory who want to preserve string theory at all costs. The idea [of the cosmological constant] originated in 1917 with Einstein and was revived in 1998 when astronomers discovered that not only is spacetime expanding—the rate of that expansion is picking up. The cosmological constant would be a form of energy in the vacuum of space that never changes and counteracts the inward pull of gravity. DR. CRAIG: So it's a kind of anti-gravitational force that fills the vacuum and that causes the expansion to accelerate. But it is not the only possible explanation for the accelerating universe. An alternative is “quintessence,” a field pervading spacetime that can evolve. DR. CRAIG: This is one of the competing models for explaining the acceleration of the universe – that there is this evolving field within the universe called quintessence. But this is pretty disfavored today. As I say, the vast majority of physicists will opt for the cosmological constant explanation rather than for quintessence. This is, I think, an unlikely out for the string theorist if he wants to preserve string theory and deny stable dark energy. In fact, the article goes on to say in the next paragraph, “So far all astrophysical evidence supports the cosmological constant idea.” Well, that's pretty crushing when it's not just the preponderance of evidence but all the evidence supports the cosmological constant. I think that should make string theorists pretty worried. KEVIN HARRIS: Why is it interesting that the universe seems to be speeding up in its acceleration? Because we would think common-sensically that it would be slowing down? DR. CRAIG: You would. Because you would think that the internal pull of its own gravity would cause it to slow down and, if the force of gravity is enough, to actually make it re-contract. And that is what scientists thought for decades. But what was discovered, as she indicated, in ‘98 was that the evidence indicates that the farthest stars in the observable universe are actually receding from us more rapidly than nearer stars – the expansion is actually speeding up. DR. CRAIG: I don’t know if the atheist has a dog in the fight as to whether the universe will expand or re-contract. KEVIN HARRIS: I’m just saying, we’ve got God to rescue us if it retracts back on itself, but we wouldn't survive that. DR. CRAIG: No, that would be the end of human existence. It would perish in this conflagration of the so-called Big Crunch. But, on the other hand, if the universe expands forever then the universe will die a cold heat death and eventually all the stars will burn out, all the galaxies will grow cold and dead, matter itself will disintegrate into elementary particles. Just an ultra-thin gas of particles and radiation expanding into the endless darkness. This is one of the most interesting aspects of what's called “physical eschatology” – how the universe will end. It is strikingly different than theological eschatology. upcoming experiments such as Europe’s Euclid space telescope, NASA’s Wide-Field Infrared Survey Telescope (WFIRST) and the Simons Observatory being built in Chile’s desert will look for signs dark energy was stronger or weaker in the past than the present. This will provide some sort of verification or falsification of the quintessence idea. This will be something to watch with real interest to see whether or not the majority view of physicists today (the cosmological constant idea) is supported by the tests that are going to be run. KEVIN HARRIS: The article ends up with the fact that many like string theory because it's beautiful. It's a beautiful theory. She says, “String theory is incredibly appealing to many scientists because it is ‘beautiful.’” When a physicist or a cosmologist says “beautiful” they mean something different than just aesthetically, don't they? DR. CRAIG: Right, it's not the same sense in which a painting would be beautiful. She says here she means, “its equations are satisfying and its proposed explanations elegant.” So there is a kind of simplicity and clarity that a professional scientist can detect in these equations that would be described as beauty. DR. CRAIG: That's one of the main criticisms – to what degree should the beauty of a theory be a guide to the theory’s truth? She notes here, “so far it lacks any experimental evidence supporting it—and even worse, any reasonable prospects for gathering such evidence.” So it remains purely conjectural and speculative, and there aren't any prospects for gathering evidence. So all it's got in its favor is the beauty which, as you pointed out, may not be a reliable guide to truth. KEVIN HARRIS: I want to end like this, and see if you agree. I want to encourage our listeners to become conversant in this. Go back and listen to this podcast again. Look up some of these terms. Be conversant in it. Not only because it's cutting-edge science and where things are heading, but you know what? It shows the glory of God in so many ways. It's like Psalm 19. DR. CRAIG: I agree entirely with you on this. I think there's any number of reasons for our listeners to have a layman's acquaintance with this sort of information. For one thing, as you say, it extols the majesty of God by showing his wonderful and marvelous creation that we live in. Secondly, it's tremendously relevant to this fine-tuning argument for God's existence. These developments, I think, make the hypothesis of divine design of the cosmos all the more credible. Finally, number three – and this is not to be depreciated – understanding these things are going to make you a more well-rounded and more interesting person. You will not be simply confined to conversing about sports and celebrities and diets. DR. CRAIG: Right! You'll be conversing with the modern scientific picture of the world, and that is going to make you a deeper, richer, and more interesting person. So I think there are great reasons to expend the effort and spend the time to familiarize oneself with this material. https://www.scientificamerican.com/article/string-theory-may-create-far-fewer-universes-than-thought/ (accessed January 27, 2019).